Aspirus Wausau Hospital is reminding everyone to be safe this summer while riding ATVs and UTVs. Emily Loertscher Safe Kids and Injury Prevention Coordinator says parents need to know how to operate those vehicles before letting their kids on them. "The best thing to do is to take a class to get a certification. You can do it online or in person. Reading the safety manuals. 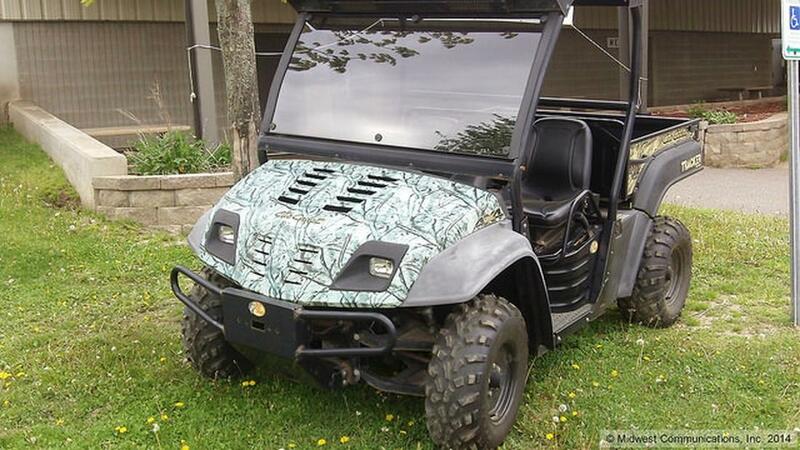 Making sure you're getting the correct size (ATV or UTV) for an adult and for a child," she said. Loertscher also says the most common way people get injured while using those vehicles is by tipping it over. " 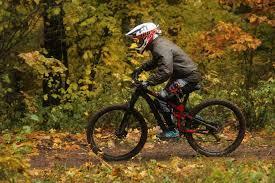 Making sure you know how to navigate turns and go up hills properly," said Loertscher. "Never riding your ATV or UTV on a paved road because the tires aren't made for to be on a smooth surface they're made to be on rough surfaces." Loertscher says this is the time of year where you'll start seeing more and more ATVs and UTVs out on the roadways as farmers may be driving from place to place or simply using them for recreational use as well. May is also Trauma Awareness month and according to a recent study done by the Consumer Product Safety Commission, riding an ATV is in the same category as football and diving as being the leaders in causing traumatic brain injuries in youths ages 17 and younger. 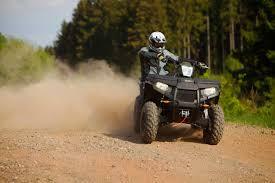 Another Vilas County town has approved travel with ATV's and UTV's on all town roads. The Town of Washington board approved the use on a 3-0 vote after results of a mail survey to all property owners with improvements saw overwhelming support. Of 889 survey returns, 553 or 62%, favored ATV/UTV's while 336 were opposed. The organizers of the Wolfman Triathlon in Langlade county are hoping there's more public input on a proposal to build an ATV bridge over the Wolf River that could affect their event. The Triathlon is in it's 24th year and is a major event in eastern Langlade county. A White Lake ATV club wants to build a new bridge to use the Highway 64 bridge as a river crossing over the Upper Wolf River and connect to other ATV trails. They want to use the DNR station in Langlade as part of the ATV trail.